Home News Samsung Tablets Samsung Outs Galaxy Tab A (2018), Tab S4! 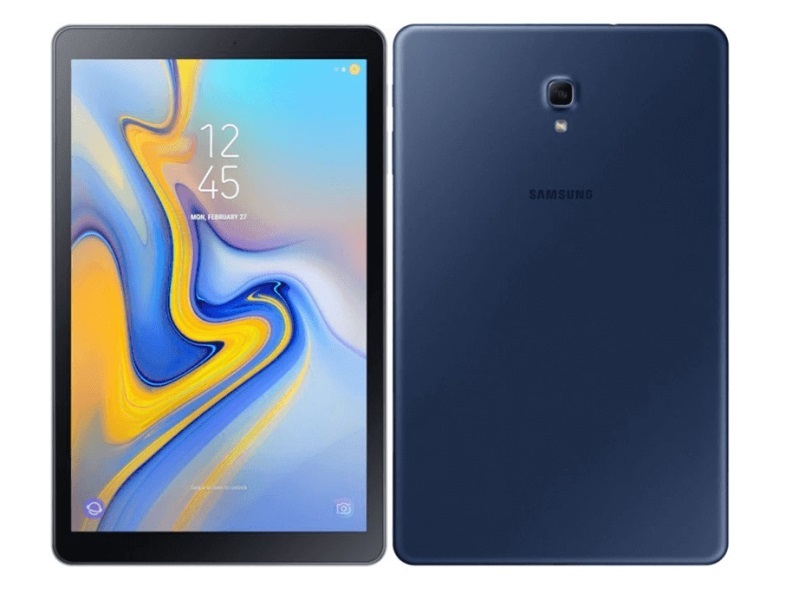 Samsung Outs Galaxy Tab A (2018), Tab S4! If you think that tablets have already bid farewell to this industry, then, think again. 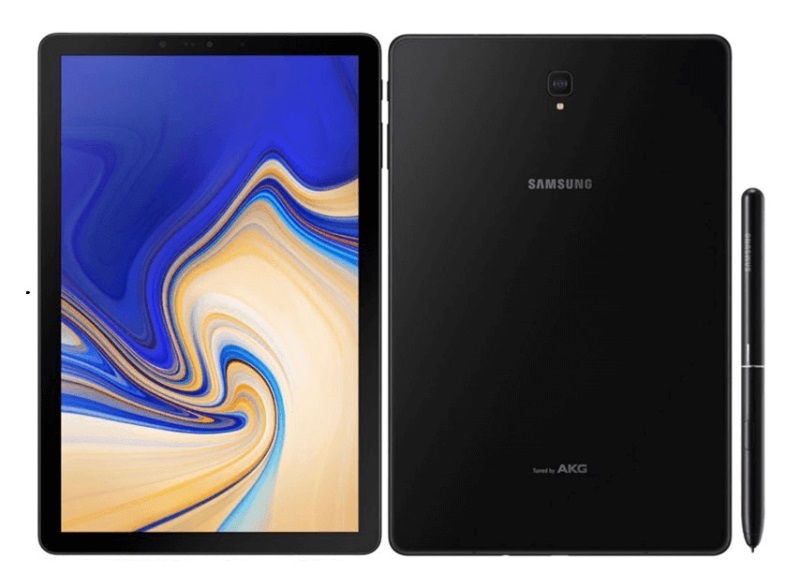 Tablets aren’t dead yet for Samsung, as the Korean tech giant has launched its two new offerings – the Galaxy Tab A (2018) and Tab S4. Let’s put our spotlight first on this year’s Galaxy Tab A. The device flashes a 10.5-inch WUXGA panel with TFT LCD 1920 x 1200 display, translating to 216 ppi. Under the hood, it is powered by Snapdragon 450 octa-core processor paired with Adreno 506 graphics. The unit is also coupled with 3GB of RAM and 32GB of internal storage, which is expandable up to 400GB via microSD card. The Galaxy Tab A sports 8-megapixel rear camera, 5-megapixel selfie snapper, and a huge 7300mAh battery. To elevate your multimedia experience, it boasts quad speakers with Dolby Atmos. Moving on to the Galaxy Tab S4, you’d see more capable specs and features on paper. It is dominated with a 10.5-inch Super AMOLED WQXGA screen with 2560 x 1600 resolution. Inside, it comes with a more powerful Snapdragon 835 octa-core processor complemented with Adreno 540 GPU. The tablet is loaded with a bigger 4GB of RAM, and has up to 256GB of expandable storage. The Galaxy Tab S4 is equipped with 13-megapixel main shooter, and 5-megapixel front sensor. Just like the Galaxy Tab A, it also carries a whopping 7300mAh stamina that supports fast charging. It features AKG quad speakers with Dolby Atmos, Samsung DeX, and S Pen, too. Both tablets run on Android 8.1 Oreo operating system. The Samsung Galaxy Tab A (2018) will be available beginning August 24. Its Wi-Fi variant is priced at EUR 329 (~Php20K), while its LTE model is tagged at EUR 389 (Php24K). On the other hand, the Galaxy Tab S4 will go on sale starting August 10. Its 64GB model costs USD 649.99 (~Php34K), while the 256GB variant sells for USD 749.99 (~Php39K). What can you say? Are you scoring one?